The Advocates is an excellent community engagement tool! 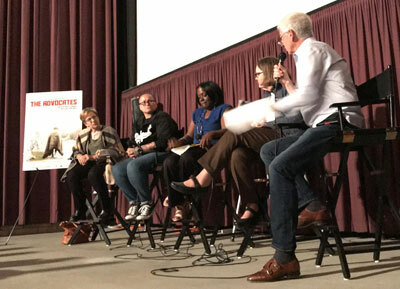 For homelessness activists - A screening event would give you the opportunity to bring together a significant cross-section of people in your community to open or move forward discussions on supportive housing and services for the homeless. 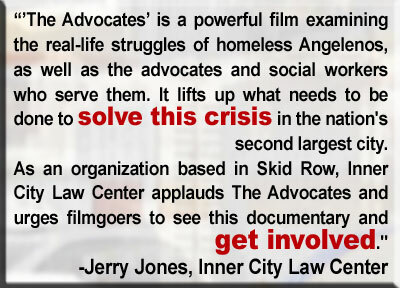 The documentary does a tremendous job of showing the amount of much and resources required to move a person from unhoused to housed status. A post-screening Q&A can allow for differing “sides” to share their viewpoints and create a taskforce for change. For homelessness service agencies - The film shows in detail what a case-workers must do to find housing for an unhoused person. It also explains some of the historical challenges (i.e. a reduction in federal mental health facilities) that all communities grapple with. As such, a screening event can uplifting for staff, volunteers and board members. It’s also an effective tool to engage your wider community by showing the work you do. The film can be used as a fundraiser as well – see details below. In order to screen The Advocates (or any film), a public performance license (PPR) is required. A PPR is required for any public screening event—including at your home if invited guests extend beyond your immediate family or what is considered “personal use”- even if you have a DVD or have purchased an On Demand option. Since there is a sizable expense to produce and distribute a film, as well as to administer these programs, screening fees help to ensure more films like this one can be made. The options offered on this page are intended for screenings in the United States and Canada. For international distribution rights, screening requests, and film festivals in all other territories, please contact Mo Ouasti at mouasti@cinemalibrestudio.com with details and estimated attendance. Theatre owners/film buyers who wish to book the film should contact Richard Castro, VP, Distribution. 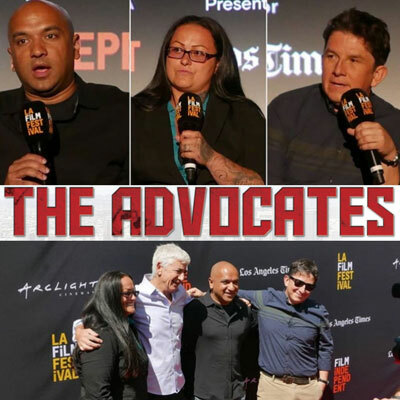 For all other screening inquiries interested in charging admission, please contact outreach@cinemalibrestudio.com using subject line: The Advocates – screening inquiry with admission. For those interested in sharing the film with an audience in the US and Canada, we’ve structured some easy-to-order programs that address company, educational, and non-profit events where there is no admission charge to the audience. Please read through all the options presented below to determine which one is the best fit for your specific needs. Once you have chosen the program that will work for you and we have received your screening request and payment, we will issue you a license and the film in the format of your choice. This PPR license is meant for a one-time public, non-admission screening events for up to 250 people arranged by governmental agencies, conferences, universities, national non-profits and for-profit institutions. The $195 fee will need to be paid in full before your screening. If the attendance will exceed 250 people, please contact outreach@cinemalibrestudio.com for pricing options. 2) resell copies of the DVD (available for bulk purchase at a significant discount). For an exhibition disc in Blu-Ray format or DCP delivery drive (as used in theatres), there is an additional $25 charge ($195 license + $25 fee = $220 + shipping & handling). These items must be returned after screening. Penalties will be incurred for failure to return. For universities, private high schools, and charter schools, this license is required for showing The Advocates in a classroom or educational setting on a regular basis for 1 year. No admission may be charged. It may only be promoted to members of the purchasing institution and cannot be advertised to the public. You may choose to show the film either through a 1-year digital stream rental or with a DVD to be returned once your license has expired. Projector and screen must be located in the same location as the classroom-sized audience of students, up to 250 people. If you plan to use your DVD with Educational Use License as part of a screening to an audience larger than a classroom-sized audience, please purchase a 1 time Public Performance License. If you’d like to screen the film in a classroom setting for more than 1 year, please contact rrieger@cinemalibrestudio.com to request long term classroom licenses for 3 years ($495), 5 years ($795), and lifetime of disc ($1295). If you will be charging admission, then special arrangements need to be made with Cinema Libre Studio. Please contact outreach@cinemalibrestudio.com using subject line: The Advocates – screening inquiry with admission. Exclusively for public high schools, please purchase our most affordable $20 license, which includes a DVD + shipping & handling. You may use this to screen the film regularly in your classroom for 1 year. Many library cardholders can download the free hoopla digital mobile app on their Android or IOS device or visit hoopladigital.com to begin enjoying many of our films, including The Advocates, available to borrow for instant streaming or temporary downloading to their smartphones, tablets, computers and Apple TV. Are you interested in requesting the participation of director Remi Kessler or anyone featured in the film at your event? In person attendance is more feasible in the Los Angeles area. Outside of the Los Angeles area, also consider an appearance via Skype projected onscreen, if that falls within the venue’s capability. If your screening is dependent on the appearances of the filmmaker or advocates, then please wait until an agreement has been met before purchasing the license. Please email outreach@cinemalibrestudio.com first to check availability. Purchasing a license does not guarantee the involvement of the filmmakers for Q&As, panel discussions, speeches/talks, or appearances and does not cover any of their fees or travel expenses. A screening license will still be required to screen the film to any public group. After you’ve purchased a screening license and determined date, location, participating partners, & a link to a promotional site or RSVP page, please register the event here so that it may be published on our site. Please indicate if the event is private attendance only or open to the public. Due to the high volume of screening requests, we will not be able to provide custom promotional materials. However, we have created and gathered some materials you can download here. The Advocates toolkit contains: press release template, generic promotional graphic, customizable flyer, links to images and video clips + a How To Guide. Non-profit organizations and individuals may also purchase copies of the DVD for fundraising purposes and re-selling, which are available for bulk purchase at a significant discount. Available Exhibition Formats: standard DVD, Blu-Ray, or DCP Delivery Drive (as used in theatres). The Federal Copyright Act (Title 17 of the U.S. Code) states that neither the rental, nor the purchase of a movie carries with it the right to show the movie publicly outside the home, unless the site where the movie is used is properly licensed for public exhibition. Ownership of the movie and the right to screen it (or stream it) publicly are two separate issues. The copyright holder retains exclusive public performance rights regardless of: how the movies are obtained (rented, purchased in a store or purchased online in digital format); Whether or not an admission fee is charged; and whether the facility or organization is commercial or non-profit. 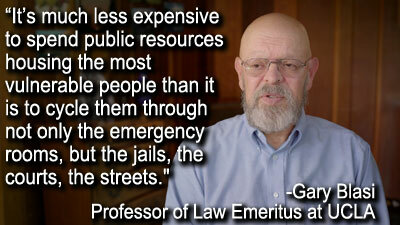 We sincerely appreciate those of you who want to respect the law and support this film. The proceeds allow Cinema Libre Studio to continue distributing films just like this one. • I want to host a screening, but don’t know where to start. How do I do it? Click here to download our How To Guide. • Can I sell copies of the DVD? To purchase DVDs at a reduced price and resell them, please see our 10pack discount. To inquire about wholesale / discounted bulk orders of the DVD for you to re-sell at a profit at your screening event, at your organization, or online, please contact sales@cinemalibrestudio.com. • For screening licenses that say 'no admission,' am I allowed to take donations for entry instead of having a ticket price? Yes. Provided the donation is optional for the attendees, you may accept donations and still fall under the 'no admission' category. For events with ticket sales, please contact sales@cinemalibrestudio.com for licensing information. • I’m a non-profit. Can I have a free screening license? Unfortunately, we can only offer a limited number of discounted screening licenses because of the expenses involved in creating and releasing films like this. We recognize the financial constraints many non-profits have, and in response, we’ve created a category specifically for service providers & community groups. These service provider & community screening licenses are discounted, and folks are also welcome to add on heavily discounted packs of DVDs to re-sell for a profit / fundraising. Check out the Community Screenings section above. • Where can I find more information about the film? You can download the film’s press notes here. • I’m considering this film for my class. Can I get a screener link to view before I purchase a license? Please email outreach@cinemalibrestudio.com to request a screener link. • My question hasn’t been answered. Who can I contact?